The blockchain is bringing revolution across the various industries. For the first time in human history with the help of computing, we are now able to transfer data, assets and money directly via peer to peer. Experty is one such revolution of 2017, where knowledge transformation will happen peer to peer without any middleman in between. 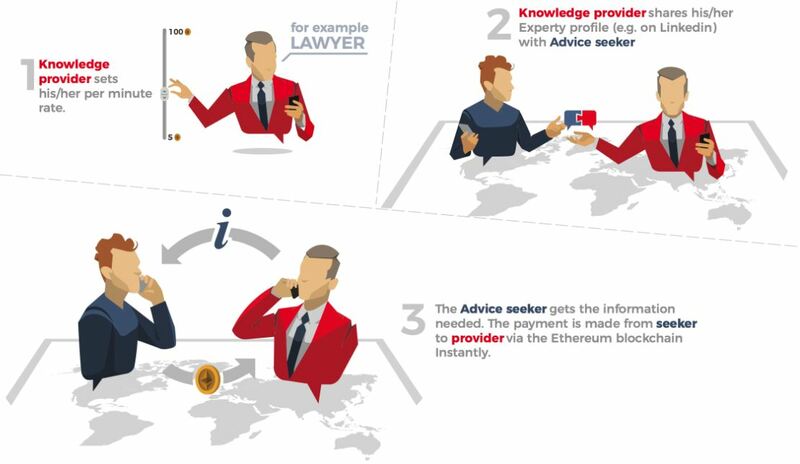 For Example, if a knowledge seeker needs advice from an expert, with the help of blockchain technology the knowledge can now directly connect with them over the call, where the call will be anonymous and the call price will be covered with the help of experty token. Yes, it’s not a marketplace, rather the experts can make use of their existing social media platform, and avoid creating one more profile on one more platform. i.e experts can share their experty link on Facebook, Twitter or LinkedIn. Knowledge seekers can then use this link to call the expert and get the advice. Payment will be instant with the help of smart contract on the blockchain. The platform has already gained popularity and currently is backed by many advisors/brand advocate. The mainnet is expected to launch before the crowdsale. The team is based out of Switzerland. The young team, which requires experience is sorted by the advisors currently onboard. The CEO has very few year of experience. The token given will be used for making calls, if the project scales according to the expectation, it will definitely see price appreciation of the token values. The team is raising very small cap of 33000 ETH, (~15 million) and it is justified. Long Term: Project is very good and can be scalable, can give good returns in long runs.